Dr. Michael McCracken’s first priority is assuring you have an excellent experience, regardless of whether you have cosmetic or functional concerns. Dr. McCracken takes the time to carefully evaluate every patient individually, to learn their concerns, and to discuss options to address their issues. Michael McCracken, M.D. moved to Denver in 2003 after completing a three-year ophthalmology residency at the University of Illinois Chicago and a two-year fellowship in oculoplastic surgery at the University of California San Diego. 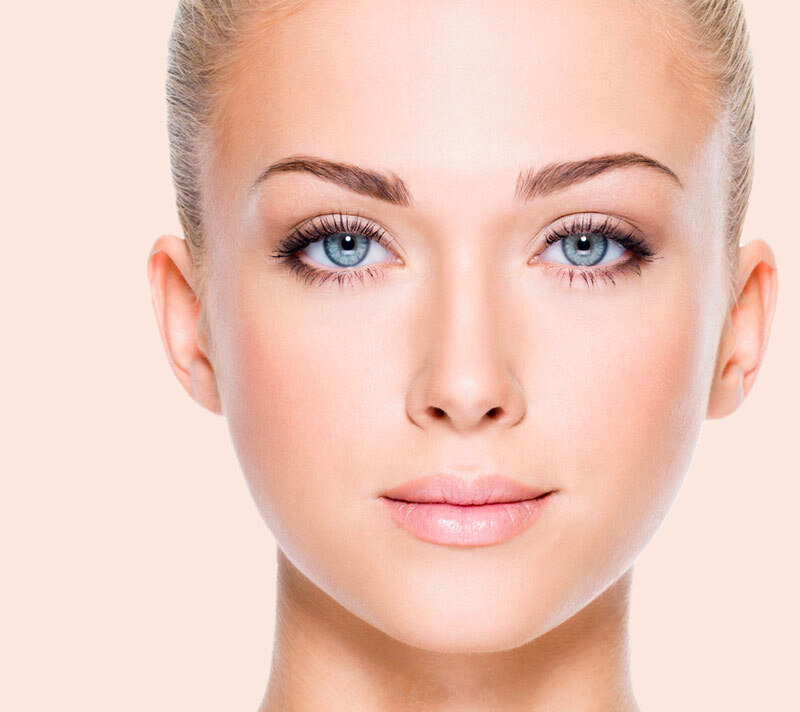 As a board certified ophthalmologist with additional specialized training in oculoplastic surgery, Dr. Michael McCracken is distinctly qualified to treat diseases and surgical needs of the eyes, problems related to the eyelids, tear ducts and eye sockets, and cosmetic concerns of the eyelids, eyebrows and face. He is also a hair restoration surgeon that performs NeoGraft. is among a handful of members of the American Society of Ophthalmic Plastic and Reconstructive Surgery, a highly selective society of specially trained surgeons who focus on the eyes and surrounding areas. 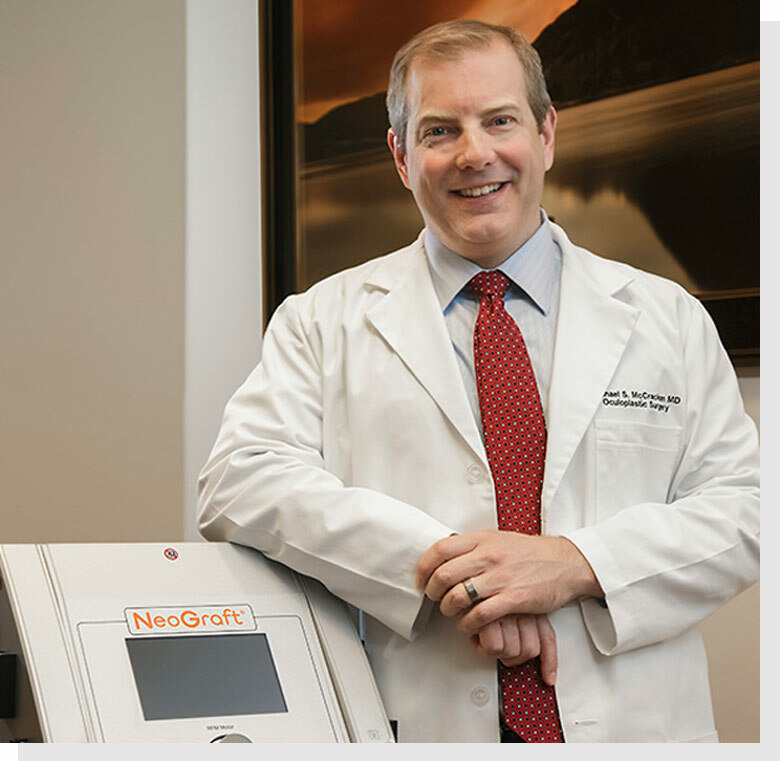 Dr. McCracken is a fellow of the American College of Surgeons and a member of the American Academy of Cosmetic Surgery and the American Society of Hair Restoration Surgery. Dr. McCracken teaches other doctors at the annual American Academy of Ophthalmology meeting and has written a number of textbook chapters and articles on surgical and non-surgical techniques. He has received teaching awards from doctors in training at both the University of California San Diego and the University of Colorado Health Sciences Center. Dr. McCracken has lectured internationally and has also been chosen as a member of the BOTOX® and Juvéderm® National Education Faculty. Contact McCracken Eye and Face Institute today at 720-851-6600 to learn more about your facial plastic surgery options.